Looking for a fun activity to engage your audience? 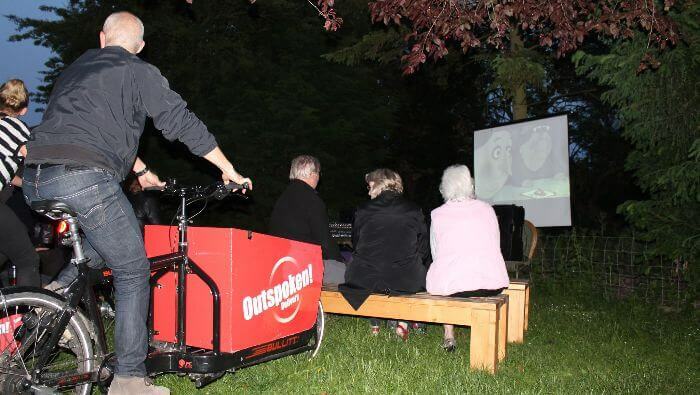 Why not try our Pedal Powered Cinema! 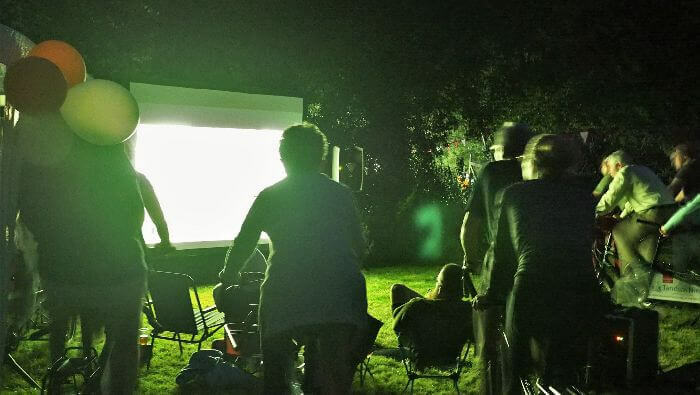 We provide all the equipment and a fleet of bikes to power your very own cinema! 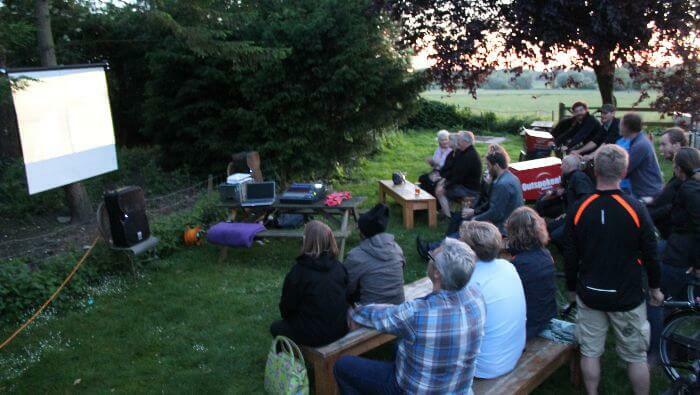 We can cater for screenings of up to a 100 people and we can even bring the popcorn! This is really great for all ages – children enjoy cycling wherever they are but they will marvel that all their energy can be used to amplify sound or create the electricity to run their very own cinema! Too see photos of our cinema in action visit our Flickr page. Power requirements: External power can be useful for pre event setup if available, but not essential. For the event itself, we’re all pedal powered! Custom Branding Option: Yes. Contact us for details.